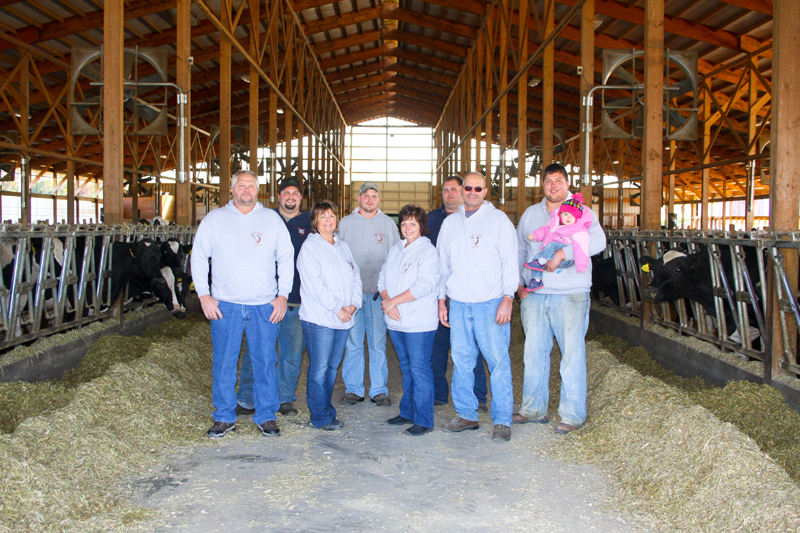 The story of the Four C Dairy reads more like a family tree… David and Mary Bauer began farming in 1980. While David’s brother Francis, and his wife Rosie (who coincidently is also Mary’s sister), had their own farm not too far away. With their families getting older, the changes taking place in agriculture, and the costs associated with staying up with the times; there were many conversations about what the future held for each farm. Meanwhile, David and Mary’s sons, Corey, Craig, Chris and Casey (the four C’s), were beginning to look ahead at their own futures. They knew firsthand the challenges that come with the profession… the work never ends, you’re at the mercy of the weather, and agriculture is changing. Was it possible to keep the farm running and earn a living? Maybe, together, they could make it work. The family decided to take the leap, but instead of solely farming the home-place, they would combine the two family farms and work under one entity; father, sons and uncle. It’s a creative solution that allowed them to become more efficient. It would also make it easier to manage future investments in technologies and enhancements, necessary for increased productivity and sustainability for the long-term. That was in 2010, they haven’t looked back. 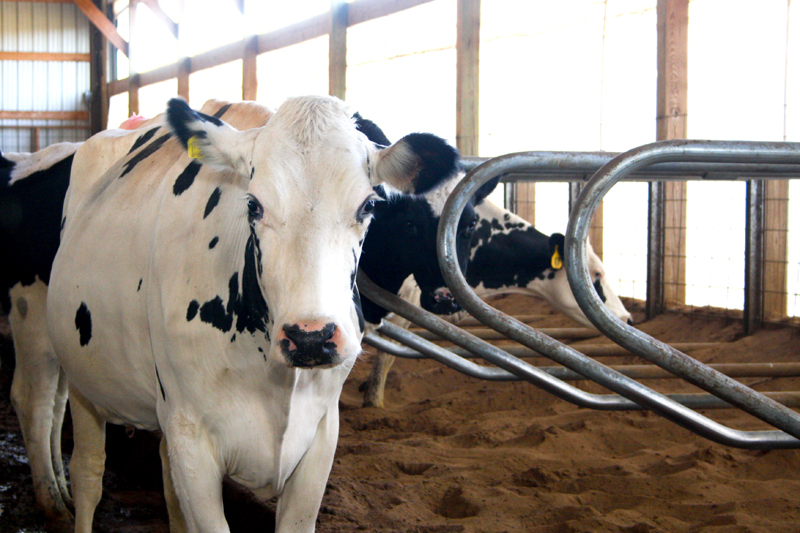 They milk 270 dairy cows, twice a day, in their updated parlor operation. It takes about three and half hours to milk the herd; 70 cows an hour in 12 swing shifts with 5 cows per group. Animal care is of utmost importance, which is one reason for the conversion to sand bedding. 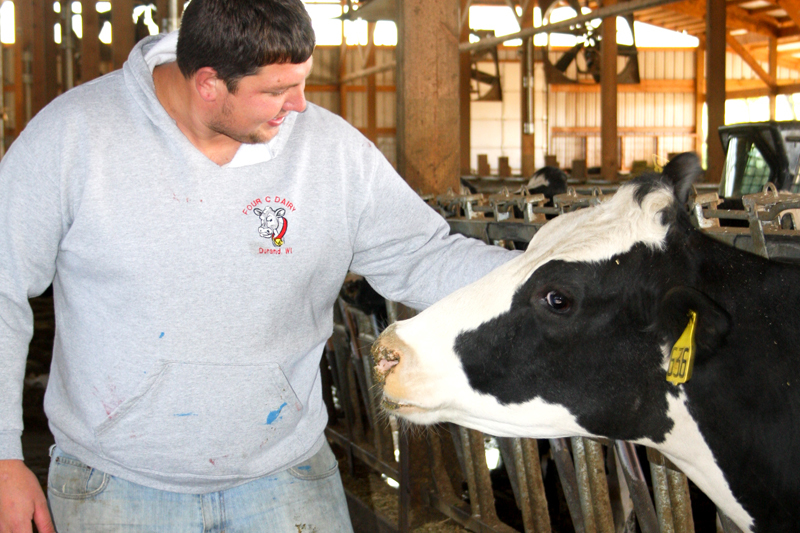 “It’s more comfortable for the cows to have a soft bed.” Corey explains. What they say about happy cows producing the best milk is true, so the comfort and care of their animals is always a top priority. Don’t think for a minute the work stops there. In addition to caring for “the girls”, as they’re often referred to, and their twice daily milking, there is the young stock to look after; up to 250 of them. Plus 800 acres of corn and alfalfa to plow, plant, and harvest. Just hearing them talk about all there is to be done brings a sweat to our brow. 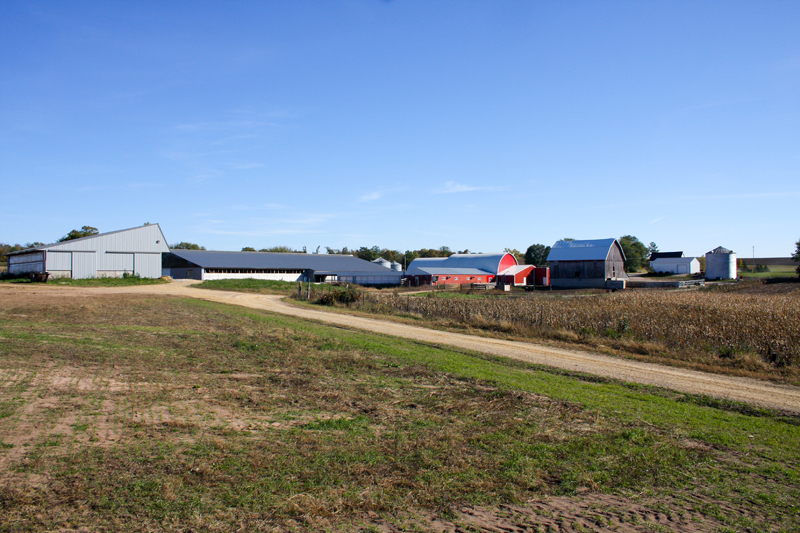 It’s important to the Bauer’s that the farm be managed similar to any other business. Since they’re all family, keeping the lines of communication open is critical. So are having goals for production and high quality standards. 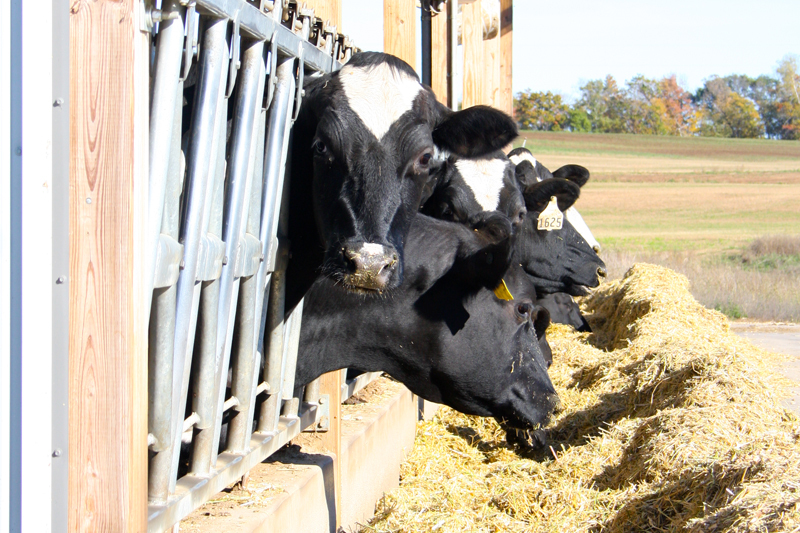 In fact, the farm ranks among the top in quality for Ellsworth Cooperative Creamery, having earned awards for their exemplary milk quality. Of course they’ve had their challenges since the transition. Just as any farm family will tell you, one of the biggest obstacles can be the weather. They’ve had their fair share of severe storms and a drought. Still, they assure us that the benefits outweigh any of the challenges they’ve experienced. As they share their story, you can feel the pride and passion they have for what they’re building together. The family enjoys working together and the freedom and flexibility that comes with being your own boss. There’s also something to be said for being in charge of your own destiny and the rewards of hard work. “The more you put into it, the more you get out of it.” remarks Corey with a smile.